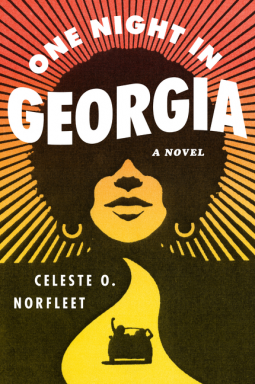 At the end of a sweltering summer shaped by the tragic assassinations of Martin Luther King, Jr., and Bobby Kennedy, race riots, political protests, and the birth of Black power, three coeds from New York City—Zelda Livingston, Veronica Cook, and Daphne Brooks—pack into Veronica’s new Ford Fairlane convertible, bound for Atlanta and their last year at Spelman College. It is the beginning a journey that will change their lives irrevocably. Unlikely friends from vastly different backgrounds, the trio has been inseparable since freshman year. Zelda, serious and unyielding, the heir of rebellious slaves and freedom riders, sees the world in black versus white. Veronica, the privileged daughter of a refined, wealthy family, strongly believes in integration and racial uplift. Daphne lives with a legacy of loss—when she was five years old, her black mother committed suicide and her white father abandoned her. Because they will be going their separate ways after graduation, Zelda, Veronica, and Daphne intend to make lasting memories on this special trip. Though they are young and carefree, they aren’t foolish. Joined by Veronica’s family friend Daniel, they rely on the Motorist Green Book to find racially friendly locations for gas, rest, and food. Still, with the sun on their cheeks, the wind in their hair, and Motown on the radio, the girls revel in their freedom. Yet as the miles fly by, taking them closer to the Mason-Dixon line, tension begins to rise and the conversation turns serious when Daphne shares a horrifying secret about her life. When they hit Washington, D.C., the joyous trip turns dark. In Virginia they barely escape a desperate situation when prison guards mistake Daniel for an escapee. Further south they barely make it through a sundown town. When the car breaks down in Georgia they are caught up in a racially hostile situation that leaves a white person dead and one of the girls holding the gun.